Sustaining a degloving injury in a motorcycle accident can make for a high stress experience, to say the least. For legal support, reach out to the premier Phoenix injury lawyers at Breyer Law Offices, P.C. You can depend on us to provide you with quality legal representation in and out of the courtroom. With help from our professionals who specialize in personal injury law, you'll have a good chance at obtaining compensation for medical bills, lost wages and more. Call the Husband and Wife Law Team today at (602) 267-1280 for a free informative consultation. If you are hesitant to seek legal assistance because you are strapped for cash, do not fret, but do contact us now. Our firm operates on a no coverage, no fee basis, which means we don't charge anything upfront. If we're able to attain you a settlement or judgment, only then will we take a reasonable portion of it to cover for attorney fees. Speak with one of our Phoenix degloving motorcycle accident lawyers today for more information. In a motorcycle accident, motorcyclists often hit the ground or other objects at high speeds. Even riders with full body protection can sustain considerable injuries, such as degloving injury, at the moment of impact. A degloving injury occurs when skin, muscles, tendons and/or nerves are separated or pulled from the bone and the blood supply to surrounding tissue is disrupted. This type of injury is not only gruesome but also often severe, as victims can be left with nerve damage and scarring, and sometimes even amputation may be required. In the first type, the skin is torn off and the blood supply to the underlying tissue is severed. Skin grafts are often required for victims of this type of degloving injury. In the second type, the blood vessels get severed although the skin remains intact. The affected tissue may become necrotic due to the lack of blood. Additionally, the skin may become loose or slack because it is disconnected from the underlying tissue. In many motorcycle crash cases, the victim experiences degloved tearing of the skin off knees, shoulders, hands and feet. If you have suffered a degloving injury after a motorcycle accident, you will likely need to undergo surgical procedures, the costs of which can be quite high. Our attorneys can fight to get you compensation for all current and future medical costs associated with the injury. If medical treatment does not result in complete recovery, and you're unable to return to your work, you may also be entitled to compensation for lost wages and loss of earning capacity. Depending on the circumstances of your accident, you may receive additional coverage for other damages, including pain and suffering and mental anguish. At Breyer Law Offices, P.C., our compassionate Phoenix motorcycle injury attorneys have represented countless motorcyclists throughout the state of Arizona. Let us help you negotiate an optimal settlement or, if it comes to litigation, fight aggressively for you in court. We are ready to do whatever it takes to secure you means for your recovery. Contact our offices now for immediate assistance. 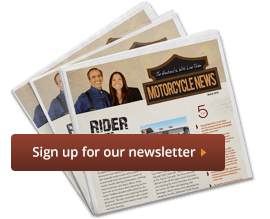 Phoenix Degloving Motorcycle Accident Lawyer Disclaimer: The hand injury, skin trauma and other serious accident information presented at this site should not be construed to be formal legal advice, nor the formation of a lawyer or attorney client relationship. Any results set forth herein are based upon the facts of that particular case and do not represent a promise or guarantee. Please contact a lawyer for a consultation on your particular legal matter. This web site is not intended to solicit clients for matters outside of the state of Arizona.